The e-NV200 (pictured) will use the Leaf's electric drivetrain. Editor's note: An earlier version of this story said Nissan will invest 100,000 euros to build the e-NV200 in Barcelona. The correct figure is 100 million euros. Nissan said it will start production of its second electric vehicle, the e-NV200 light commercial van, next year. The e-NV200 will be built for global markets alongside standard versions of the van in Nissan's factory in Barcelona, Spain. Nissan's first electric vehicle, the Leaf hatchback, was launched in 2010. The Leaf is built in Japan. The company will add production of the Leaf at Smyrna, Tennessee, in the United States later this year and at Sunderland, England, early next year. The e-NV200 will use the same electric drivetrain as the Leaf and will have a similar driving range and performance, Nissan said. Prototype NV200-based electric vehicles are being tested in field trials in Europe. 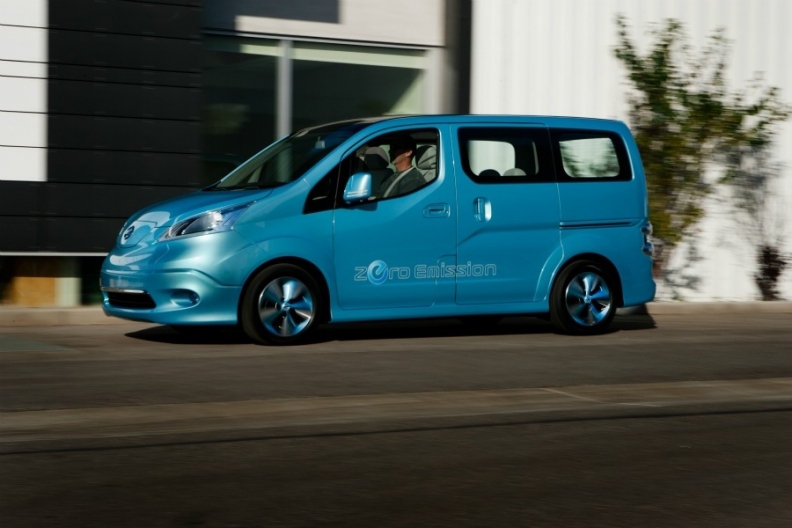 Nissan will invest 100 million euros ($127 million) to build the e-NV200 in Barcelona. The company said the investment will create 700 jobs at the plant and with local suppliers. The Japanese automaker also builds the Navara pickup, Pathfinder SUV and Primastar van at the plant.